(Rolling Stone), HOW TO TRAIN YOUR DRAGON rolls fire-breathing action, epic adventure and laughs into a captivating and original story of a young Viking named Hiccup who defies tradition and befriends a dragon. 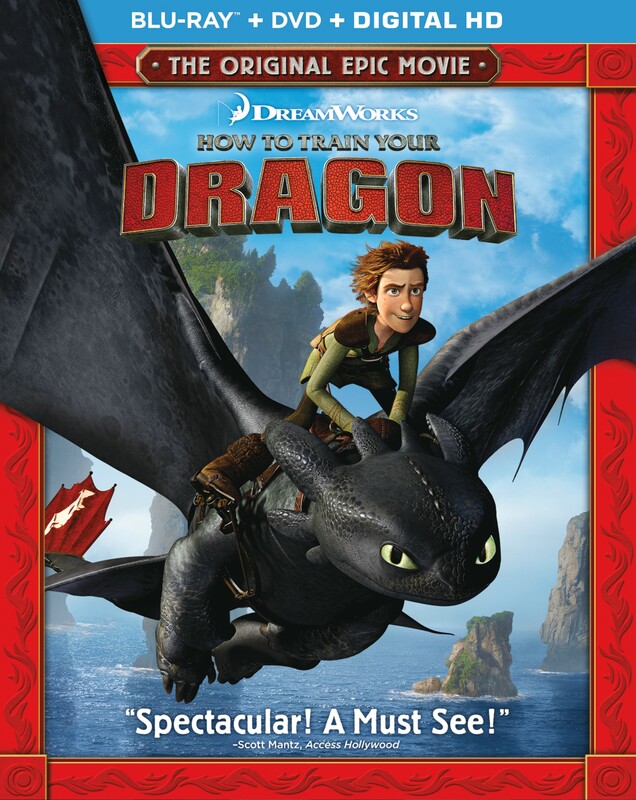 Blu-ray Combo: Includes more than 90 minutes of bonus features including the kick off episode of “DreamWorks Dragons: Riders of Berk,” behind-the-scenes footage and interviews, Legend of the Boneknapper Dragon animated adventure with the original voice cast, deleted scenes, commentary, trivia, a tutorial on drawing Toothless, Gobber’s training secrets and more fiery fun. DVD: Includes the kick off episode of “DreamWorks Dragons: Riders of Berk,” Legend of the Boneknapper Dragon animated adventure with the original voice cast, deleted scenes and commentary.